Event was held in Exploreum, Mall of Asia! 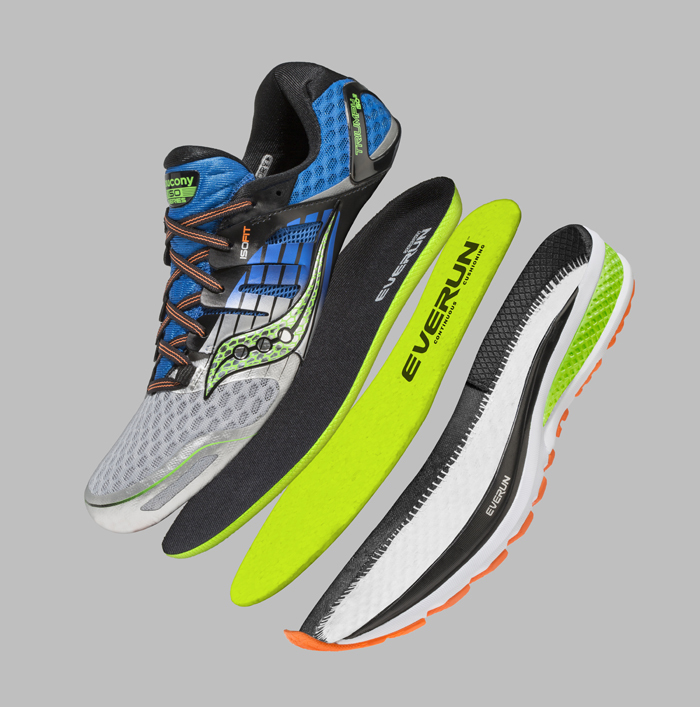 Maintaining its relentless commitment to elevating the running experience, Saucony officially unveils EVERUN™, its most advanced technology to date, highly anticipated by runners everywhere. We watched a video presentation on how Saucony develop their products. It's an everyday learning process! 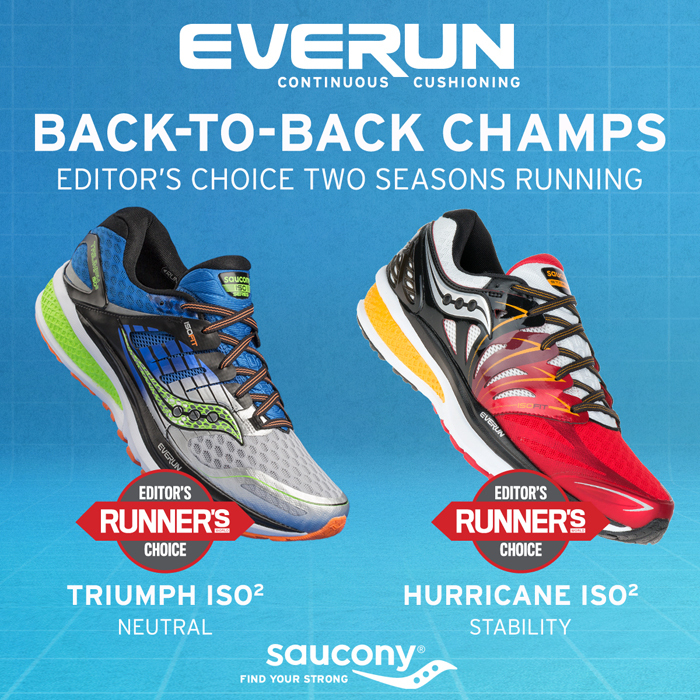 “EVERUN™ is not only a game-changer for us but for the industry as well,” said Patrick O’Malley, senior vice president of global product for Saucony. 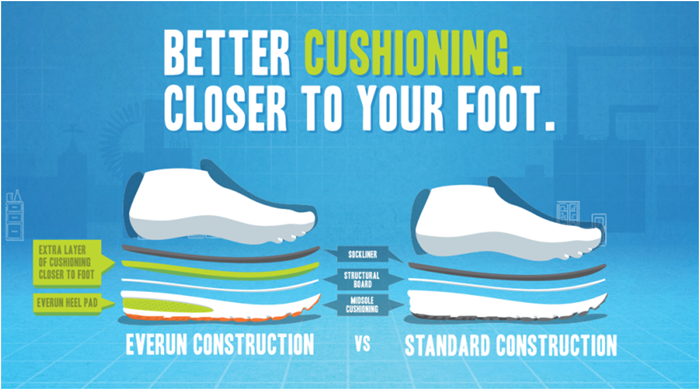 “Runners are once again responding to the benefits of cushioning, including increased energy return and underfoot comfort. 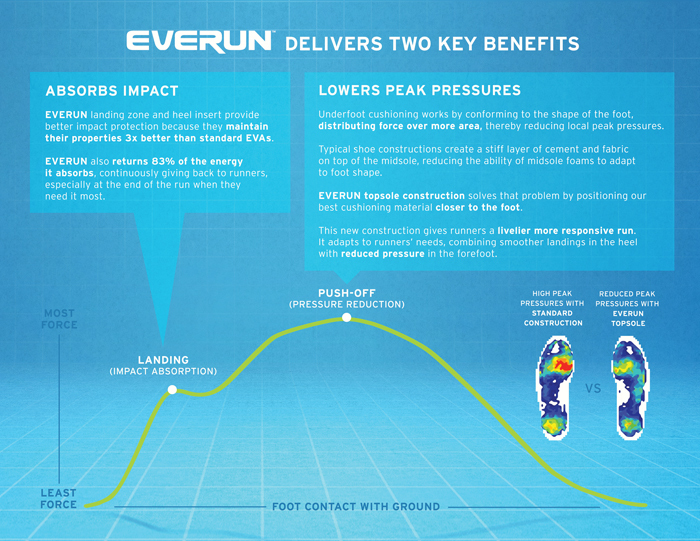 One of the primary objectives in the development of EVERUN™ was to deliver a continuous cushioning experience to runners, combining smoother landings in the heel with reduced pressure in the forefoot. They have this in their office! Someone do the running and they do the testing. They study the movements of runners and develop or improve products based on the results in their Human Performance and Innovation Lab. So cool! The 100-year old brand has successfully married style and performance in its latest footwear line now equipped with the revolutionary EVERUN Continuous Cushioning technology, combining aesthetics and superior functionality. The line-up features the Runner’s World Editor’s Choice Triumph ISO 2 and Hurricane ISO 2 as well as the flagship shoes Kinvara 7 and Guide 9 not just in new breakthrough cushioning, but also in styles that can go straight from your runs your usual daily activities thanks to the shoes’ highly-versatile designs. 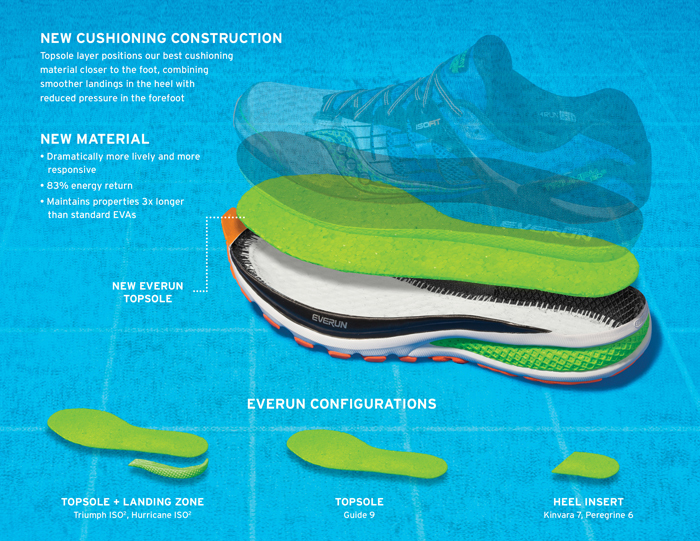 Lowers Peak Pressures - EVERUN™’s revolutionary Topsole construction process positions a 3mm layer of Saucony’s revolutionary EVERUN foam material closer to the foot, directly under the footbed, instead of embedding it in the midsole below a layer of rigid cement like other regular shoes. This construction process distributes propulsion force over more area, reducing uncomfortable local peak pressures while delivering a dramatically more lively and responsive ride. Absorbs Impact - The EVERUN™ Landing Zone and heel insert provide remarkable impact protection, maintaining cushioning properties three times longer than standard EVAs while returning 83% of the energy absorbed, according to research in the Saucony Human Performance and Innovation Lab, a state-of-the-art facility in the US that tests prototypes and does research on runners of all varieties, including the brand’s elite athletes. New endorser is Matteo Guidicelli! The brand’s flagship shoes—the Kinvara 7 (2nd row, right side) and the Guide 9—are getting an EVERUN update, too. The Kinvara 7 (a neutral running shoe) and the Guide 9 (a stability shoe) feature heightened comfort. Matteo was so excited to check out this pair! Founded two years after the first Olympic Marathon, and one year after the first Boston Marathon, Saucony’s 100-year running heritage showcases the brand’s commitment in empowering people through running along with its “Find Your Strong” tagline that continues to energize, inspire, and unify runners to this day. Since 1898, the brand demonstrates deep respect for its authentic running heritage and its dedication to push the boundaries of running technology with its award-winning innovations, including EVERUN™, ISOFIT™, PWRGRID+™, Geometry of Strong™, and Total Run System™ apparel line. Nico can't choose between the 2!!! Love the gray one. I want!!! This I can wear everyday. "At Saucony, a good day is when we get to run. A great day is when we inspire someone else to run."